The code changes in Roslyn between 7 and 8. A look at home much had to change inside the compiler for the latest version. Azure Cognitive Services - Machine Learning the Easy Way! Using Cognitive Services is the easiest way to integrate machine learning into your project. Building a web application to only show positive or negative stories from a subreddit. Code up an 8-bit hero in C#. What can we learn from looking the 2017 and 2018 StirTrek session data? 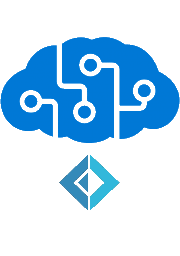 Accessing Microsoft's powerful machine learning tools with an F# service call. One of the challenges of creating integration tests is making them repeatable. Respawn can help. What can we learn about project structure with NDepend? Combining Microsoft Flow and CosmosDB is fast and easy. Combining the condition with the assignment is the brilliance of pattern matching. Some Visual Studio Extensions are like drywall saws. A detailed look at the differences between the prefix and postfix increment operators. A project to for controlled speed reading.